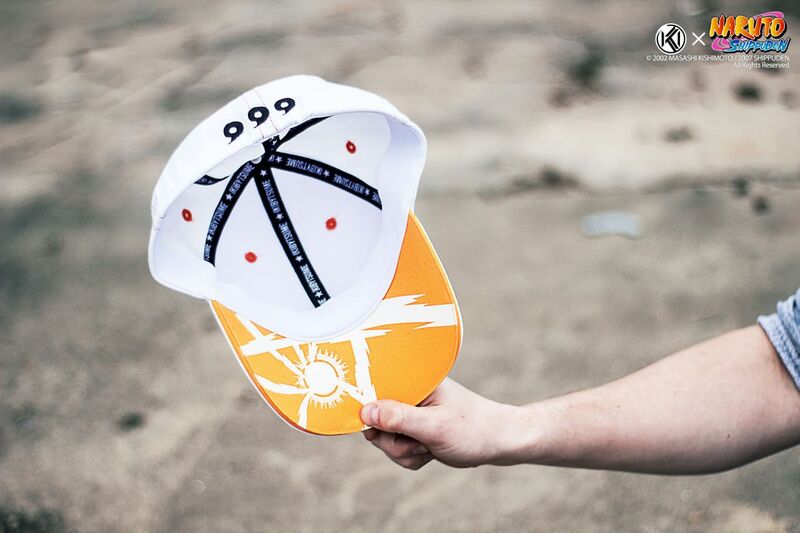 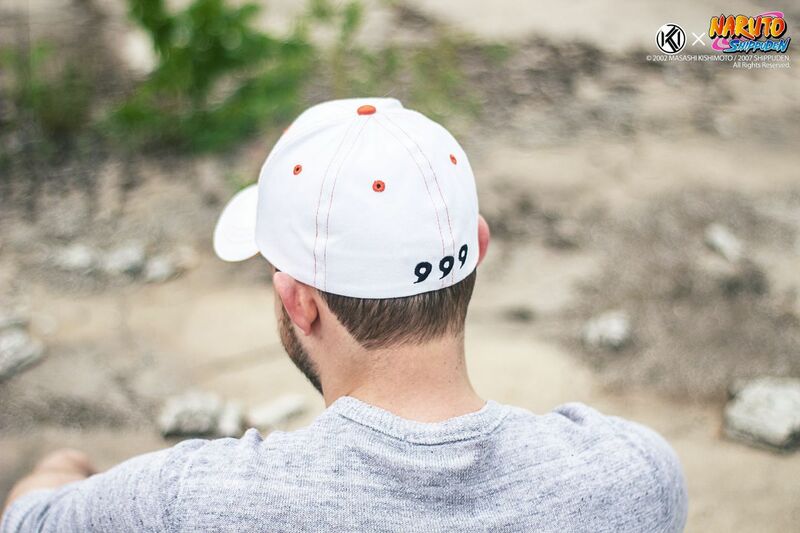 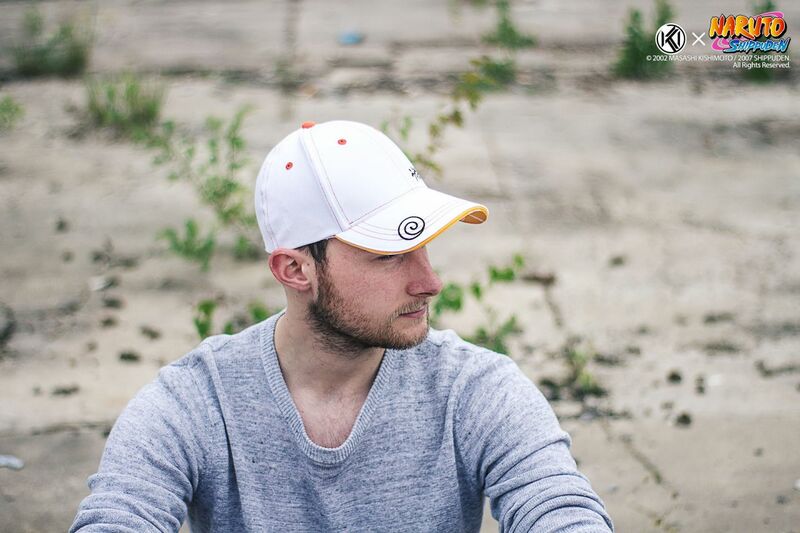 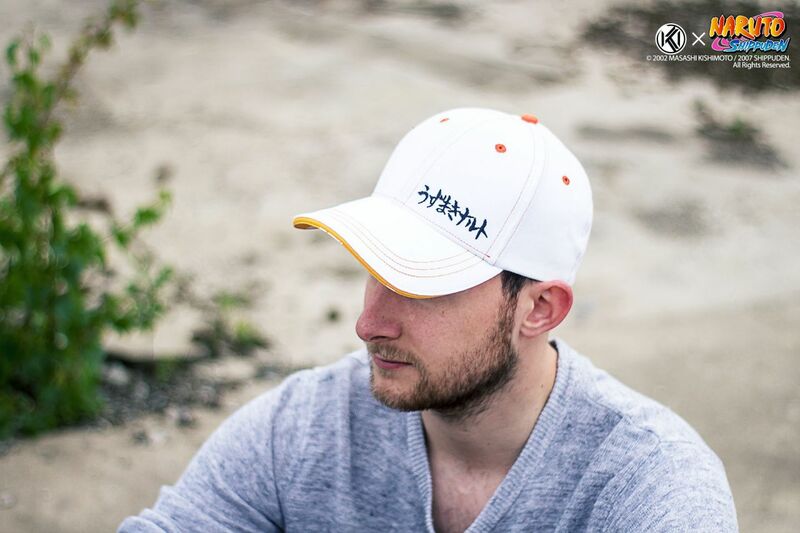 This cap hat is inspired by Naruto Shippuden and a tribute to Naruto Uzumaki in Kyuubi Chakra Mode. 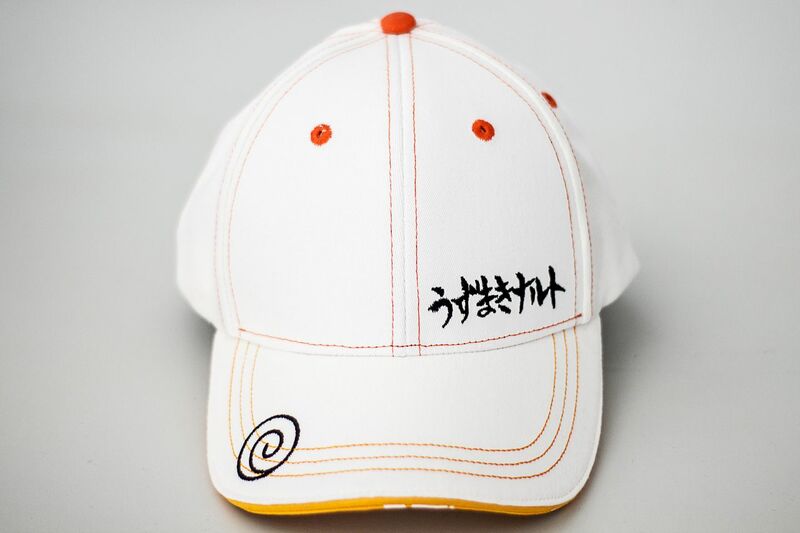 It features several embroideries such asうずまきナルト (Uzumaki Naruto) embroidered on top of it, The Uzumaki clan's symbol on the bill, and the marks worn by Naruto in Kyuubi Chakra Mode are embroidered on the back. Under the bill, a pattern is printed to mimic Naruto's Rasengan attack.